Azerbaijani singer and musician, Emin Agalarov, better known as EMIN, was the first person to persuade United States President Donald Trump to appear in a music video. His concerts were aired across the United States by PBS Television and his single “Boomerang,” which featured a guitar performance from Grammy-winning producer Nile Rodgers, was a top hit on Billboard’s Dance Club Songs chart in 2015. On December 14th EMIN will perform a concert in Baku. Question: In 2018 you became the People’s Artist of Azerbaijan. How did you feel after getting this title? Answer: This title was very unexpected for me and I felt exhilarated. I am grateful to President Ilham Aliyev for the great appreciation of my contribution to the Azerbaijani musical culture. It is a huge honor and responsibility to get this title, and I understand that now I must always prove that I am worthy of it. Q.: You are a founder of the Zhara International Music Festival, which has been held in Baku with sell-out concerts since 2016. How did the idea of this festival come to your mind? What were your main goals while organizing this festival? A.: Everything happened spontaneously. Previously, I organized my own concerts at the Sea Breeze Resort in Baku, on the shores of the Caspian Sea. Over time it became clear to me that I could invite other artists to perform there and I invited famous Russian singers Leonid Agutin and Grigory Leps. One day while I was chatting with Grigory Leps and well-known Russian musical producer, Sergey Kozhevnikov, an idea to organize a small festival of five or six artists crossed our minds. That is how it started, and step by step it transformed into an international music festival. Q.: Every year Zhara Musical Festival brings together more and more participants and spectators from different countries. What is your plan for further development of this festival? How will you impress the residents and guests of Baku next summer? A.: We are already preparing for the next edition of Zhara Festival, which will take place in the capital of Azerbaijan next summer. Our main task, for now, is to make this festival even more international and invite more foreign stars. Q: Your song ‘Sbezhim v Baku’ (Let’s escape to Baku) has remained in the top single charts in Azerbaijan for 2.5 years. Is this about you? Do you frequently want to escape in Baku? A.: I escape to Baku almost every week. My children are studying there, and it is important for me to spend as much time with them as possible. I am very engaged in their upbringing. I like to spend my leisure with them, we play football and chat a lot. Q.: Your fans in Baku have an opportunity to attend your solo concerts quite often. Do you see any differences between the audiences in Azerbaijan and other countries? A.: In Azerbaijan, I always feel a warm attitude from the audience. The spectators welcome me as a compatriot. Meanwhile, the level of responsibility is much higher while performing in front of the audience which knows me very well and waits for me. Therefore, concerts in Baku are very important to me, and I always look forward to them. Q.: You have a huge number of great singles in English, and you have started to pay more attention to songs in Russian in recent years. Meanwhile, you have only one song in the Azerbaijani language titled ‘Azerbaijan.’ Do you have any plans to please your Azerbaijani fans with more songs in the Azerbaijani language? A.: I am not as fluent in Azerbaijani as I am in Russian or English. Therefore, I am not sure that I will do it in the best way possible. There are a lot of excellent performers who sing in the Azerbaijani language much more professionally. It seems to me that my mission is to popularize our music through other languages which I speak. Q.: You have teamed up with many world-famous stars such as legendary Canadian musician and record producer David Foster, multi-Grammy award-winning music legend Nile Rodgers, accomplished actor and musician Steven Seagal, and some of the best Azerbaijani and Russian artists. Do you have an idol with whom you would like to sing a duet, but have not done it so far? A.: Elvis Presley, but I am afraid I will not be able to do that [laughs]. I also always liked Sade with her unique style and charisma. And of course, Adriano Celentano. Q.: I cannot help but ask a question about Donald Trump. You knew him in person even before he became the President of the United States, and he even appeared in one of your music videos. Please tell us, what kind of person he is? What were your impressions from your cooperation with him? A.: Donald Trump is a very unusual, talented, and successful person. We jointly organized the Miss Universe Pageant in 2013 at the Crocus City Hall in Moscow, and it was a very successful project. I have only positive memories of our cooperation. Now, he is the president, and I am very happy for him. Q.: In 2018, you debuted as an actor in the “Night Shift” film. I think you had some role proposals from film directors even before this. Why did this particular project attract your attention? A.: It was a project of my good friend, Marius Balchunas-Weisberg. I trust him very much, and I was sure that the film would be of good quality and have success. While working on this project, we shot another film called “Zhara in Baku,” which will come out this spring. Q.: Did you enjoy the acting experience? Do you plan to take part in more films? If so, what role would you like to play? A.: As an actor, no, I plan to produce films. The shooting process is quite complex and requires a lot of time, and it is not compatible with my character. Q.: Internationally known Azerbaijani singer Muslim Magomayev was a friend of your family. Could you tell us about the film on him, which is currently being produced and is supported by you? A.: This is the project of the Russian First TV Channel, and I act as a curator to ensure that the film will not disappoint Muslim Magomayev’s fans, as well as his family members. The film’s shooting has already started. The cast is very professional, and amazing actors were chosen for the roles of Muslim Magomayev and his wife, Tamara Sinyavskaya, a famous Russian opera singer. It seems that this will be a very long-awaited series. Q.: In addition to being a musician, you are the vice president of the Crocus Group, and you implement a number of business projects. Which of these projects most interests you? A.: My most significant sphere of interest is in trade, with projects in the Crocus City Mall, VEGAS shopping and entertainment centers in Moscow. I am very focused on these projects. Then I have some projects in the restaurant business, a network of fitness clubs named Crocus Fitness, concert halls including the Vegas City Hall and Crocus City Hall, a new Zhara FM radio station, a small project at the Sea Breeze Resort, and I also have some personal projects, including online start-ups. Q.: Could you leave music for your business projects if you had to choose? A.: Creativity is a part of all of my projects, even in the sphere of business. I will continue applying my creativity in my projects, although they may not be related to music. 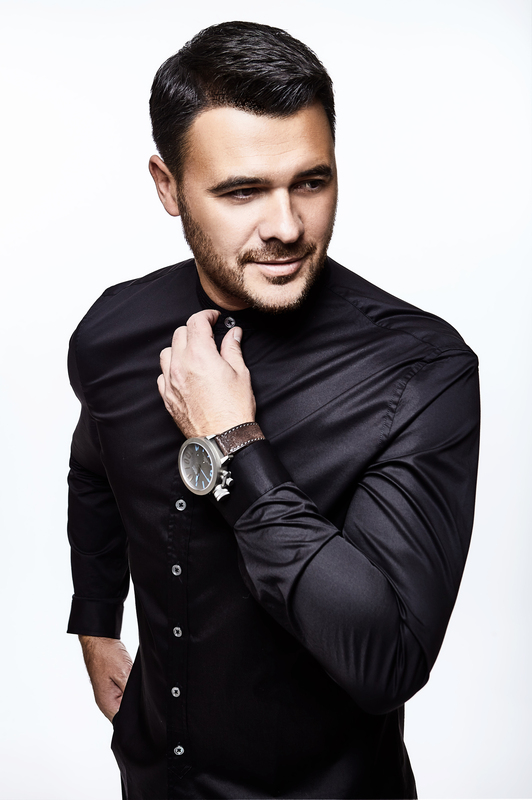 Q.: Are there any differences between businessman Emin Agalarov and musician and singer EMIN? A.: Yes, they are different. EMIN, the musician is a more cheerful and open person who enjoys his life. Meanwhile, businessman Emin Agalarov is quite a strict and demanding person. Q.: In one of your interviews, you said that you started your first business when you were 15. It is clear that it was not for money, given the fact that your father is a wealthy person. Then why did you? A.: On the contrary, money was the only reason. I wanted to be independent, to live on my own, and not ask my parents for money. It was quite an acute problem for me until 20 years old. I was ready to do any job, and that led me to an idea to launch a business in online trading. Q.: It seems that in all areas you easily succeed in everything you do. Have you ever had any failures? A.: I still have them, but I am still working to improve them. Q.: Would you like your children to follow in your footsteps and become artists? A.: I wish for my children to be happy. They are free to make their own choices, and I will support their decision. Q.: What are your plans in the sphere of music for the near future? Are you working on new albums, songs, or music videos? A.: In October, my new Russian-language album titled “Not Afraid of Heaven” was revealed. It consists of two parts. The tracklist of the first part includes new never before heard original compositions. The second part consists of my popular singles, which have not appeared on my previous albums. Another surprise for my fans is a duet composition titled “My Azerbaijan” with famous Russian singer and producer Maxim Fadeev, and another duet song with popular Russian singer Slava. I am also continuing my Boomerang 2018 concert tour, and I will perform solo concerts in St. Petersburg, Moscow, and my personal favorite, Baku, in December. Then, we are planning a tour to America from January 26 until February 3. Immediately completing this tour, I will go on a new tour in Russia and the CIS region. Q.: Do you have a dream? A.: My dream and the goal of my life is wanting to raise my children into worthy and good people.